Ideal location on the Main Street of the town yet apartment was quiet. 10 minutes walk from ferry. Cordial staff. Good AC. Breakfast pastries were excellent! Great location, immaculate hotel, very comfortable and spacious rooms, pretty outdoor terrace, nice breakfast service, and, most importantly, the management and staff were outstanding. The staff was wonderful. Great, central location. Coffee (espresso, caffe latte, etc,) was terrific. Rooftop terrace provided amazing views of the castle and the mountainsides. The hotel was in the main street and only a seven to ten-minute walk from the ferry. We had a spacious room with a fabulous roof terrace and a great view of the castle. Breakfast was plentiful with lots of choices and the barista was very attentive. Fantastic location and easy to walk around to everything (port, sights, etc). Great A/C in the rooms for the very hot temperatures and the beds were comfy. Plenty of room for our young family in the 2 bedroom apartment. I would recommend this place to everyone going to Lipari! Right in the centre of town. Big comfortable rooms. Good beds. Everything spotless. 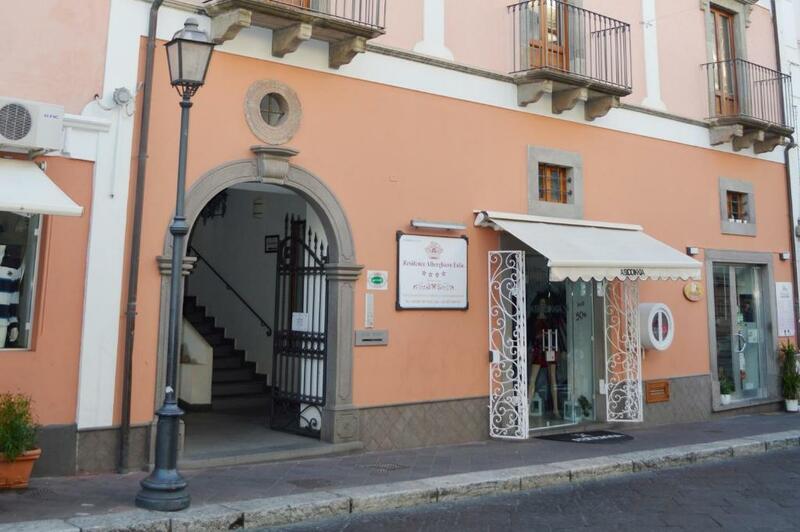 Great location right in the centre of Lipari town, big room with a kitchen/dining area and a big private terrace. The staff were helpful and friendly. The air-conditioning was very good. I would happily stay here again. The breakfasts were good. We stayed 3 nights in the deluxe one bedroom apartment. It was great - the bedroom was at the back of the hotel and overlooked an archaeological site. So it was nice and quite, even with the windows open. The kitchen was pretty well equipped. The staff were professional and friendly, especially the breakfast man. Breakfast was a good, normal Italian hotel breakfast. The hotel is only a few hundred metres from the ferry wharf and anything else of interest in Lipari town. Location,staff, room, huge private sun area, The breakfast was okay but not a huge choice We were the only people staying in the hotel. Staff were extremely friendly, this accommodation is in the perfect place to be in Lipari, the rooms are spacious, clean and organised. The breakfast is also very good, there is absolutely nothing to complain about. Keep up the good work. Lock in a great price for Residence Alberghiero Eolie – rated 9.4 by recent guests! Residence Alberghiero Eolie This rating is a reflection of how the property compares to the industry standard when it comes to price, facilities and services available. It's based on a self-evaluation by the property. Use this rating to help choose your stay! 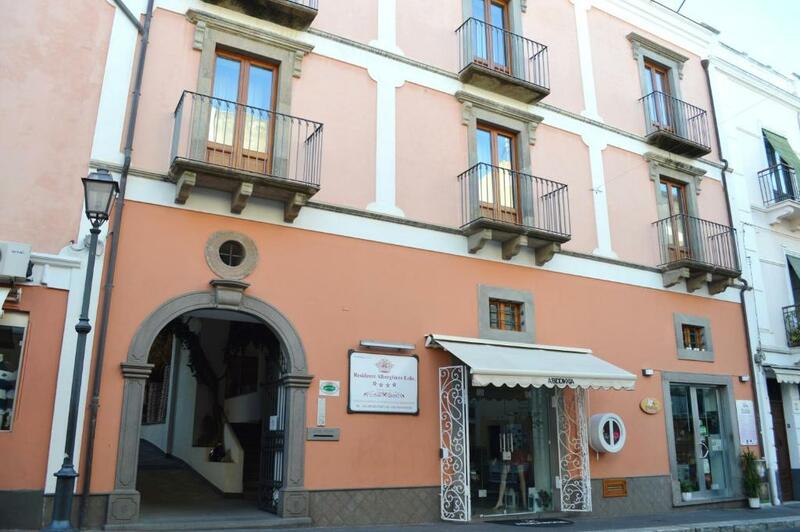 Residence Alberghiero features spacious, comfortable accommodations in a 19th-century building on Lipari's main street. Rooms offer views of the archaeological park or the castle. Residence Alberghiero Eolie's roof terrace provides panoramic views of the town, sea and other islands that form the Eolian Archipelago. Each apartment or studio at the Residence offers satellite TV and a fully equipped kitchenette. Some feature a balcony or terrace. Rooms for disabled guest are available on request. This is our guests' favorite part of Lipari, according to independent reviews. This property also has one of the top-rated locations in Lipari! Guests are happier about it compared to other properties in the area. This property is also rated for the best value in Lipari! Guests are getting more for their money when compared to other properties in this city. 뀐 Located in the top-rated area in Lipari, this property has an excellent location score of 9.9! When would you like to stay at Residence Alberghiero Eolie? With views of the courtyard or Vittorio Emanuele street, this studio includes satellite TV and a fully equipped kitchenette. Including a small balcony plus a terrace furnished with deckchairs, this studio overlooks the courtyard and Vittorio Emmanuele street. It comes with satellite TV and a fully equipped kitchenette. With views of the archaelogical park or the courtyard, this studio includes satellite TV and a fully equipped kitchenette. Featuring a terrace with table, chairs and deckchairs, this apartment offers views of Lipari Castle and the courtyard. It comes with a bright lounge, satellite TV and a fully equipped kitchenette that includes a microwave. With views of the archaelogical park or the courtyard, this apartment comes with satellite TV and a fully equipped kitchenette. La nostra struttura è piccola ma accogliente, il personale è gentile e disponibile ad accogliere ogni richiesta del cliente e soprattutto a coccolarlo. Ci troviamo al centro e quindi in una posizione strategica per chi non vuole muoversi con i mezzi. La via principale raccoglie piccoli negozietti di ogni genere, bar che servono ottimi aperitivi allietati d'estate da musica dal vivo; difronte a noi si trova un'ottima pasticceria, alle ns/ spalle cè un parco per bambini ed un sito archeoligico. House Rules Residence Alberghiero Eolie takes special requests – add in the next step! Residence Alberghiero Eolie accepts these cards and reserves the right to temporarily hold an amount prior to arrival. We hear everything from the street as our room were on top of main street. Smell in the toilet. Poor breakfast. Furnishings were a bit old looking but functional. We left Lipari on a ferry at 15.45. When we booked, we asked if we could leave our bags after check-in. We could, but only to 14.00 when reception closed for a few hours. This gave us an excuse for a good long lunch! Very central on the Corso VE II, a simple walk from ferries. Kitchen in the room. We had the quadruple room which included a separate kitchenette/dining area and two separate bedrooms. Very spacious especially the bathroom. Very clean, well maintained and nicely furnished. Very comfortable beds. Nice courtyard area. Good location. The only sea that can be seen is part of the main port. The enormous patio was relaxing. Price, but we did travel in the summer! Also, be mindful of the time you arrive. Two bed rooms and kitchen including sofa bed are enough for three individual guests. Located right in the middle of town where easy accessing to both seaports. We had the best room but it was right on the street so it was a bit noisy. The hotel was one of the nicer hotels we have stayed in. The room was large with a kitchenette and a spacious balcony/courtyard for relaxation. Location was close to both harbours for easy access to tours. The taxi tours are great especially Alessandro. Lovely man.